The recovery process is to be carried out by an as yet unchosen private contractor until April 19, 2009, a document cited by Associated Press suggests. On Wednesday, the White House declined to comment on its internal procedures, but said the information was ‘outdated and seriously inaccurate’. Whoever handles the task will have to try and recover the lost e-mails from 35,000 disaster backup tapes. Industry experts point out that the backup system is not designed to keep track of all e-mails and deleted messages may not be retrieved. “It's designed to make a copy of data at a specific point in time,” said William P. Lyons, Chairman and CEO of AXS-One, a provider of records compliance management solutions. 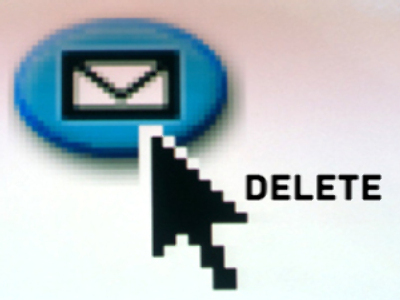 The White House draft document estimates the number of days of lost e-mails as ranging from 25 to 225. Experts say the lack of accurate figures on the scope of the work indicates the recovery project will be difficult to plan and implement. Henry Waxman, Chairman of the House Committee on Oversight and Government Reform, has said the White House's lack of a proper system for archiving e-mails violated the Presidential Records Act. Human right groups accuse the Bush administration of trying to win time. “With an eye on the clock, the White House continues to drag its feet and do everything possible to postpone public access to the records of this presidency,” said Anne Weismann, chief counsel to Citizens for Responsibility and Ethics in Washington, a private watchdog group. The absence of numerous White House e-mails was first discovered in January, 2006 during an investigation into the case of theValerie Plame leak. White House aide I. Lewis “Scooter” Libby was sentenced to 30 months in prison for obstructing the investigation, but was later pardoned by George W. Bush.